We were far too early to check out the normal dinner crowd, but this most wonderful lady was enjoying the snacks and sipping the most wonderful orange drink. Mum and I ordered one the next day, overlooking the Grand Canal. It went something like this: “Ciao, we’ve seen almost every local here drinking an orange drink. We will take two of those, per favore”. And with much anticipation, the Aperol Spritz came. In Venice, just a “spritz” is all that’s needed when ordering. It was bitter. It was sweet. It was orange-y. Ridiculously good. 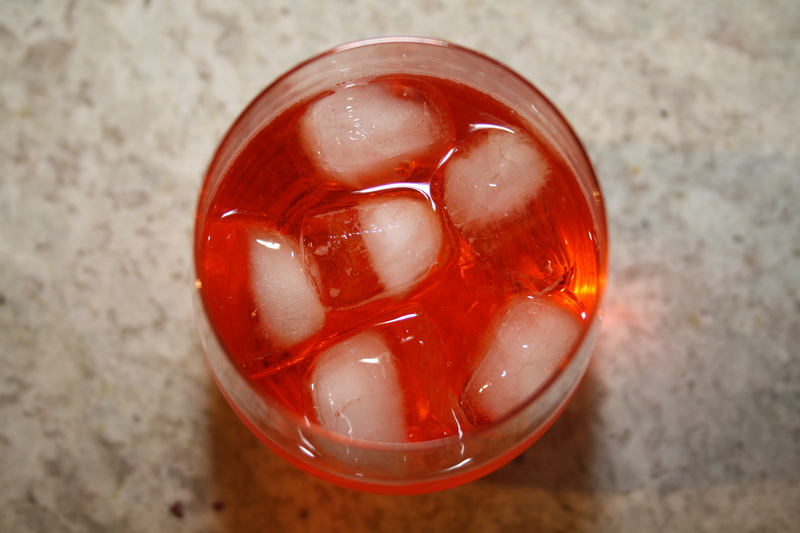 Aperol is an aperitif, normally served before a meal. With the Aperol Spritz in mind, I tend to agree with this. It’s lovely to sip while stirring a risotto, or tending to a sauté, or watching the minutes pass as biscuits bake in the oven. I find the bitterness – almost a rhubarb note – perfect for something not too sweet but full of flavour. In every place we visited after Venice: Lago di Como, Cinque Terre, Florence, Rome…this became the evening ritual. I can’t imagine an Italy without a physically and mentally tiring day, followed by a postcard and Spritz, and then settling in for a meal. 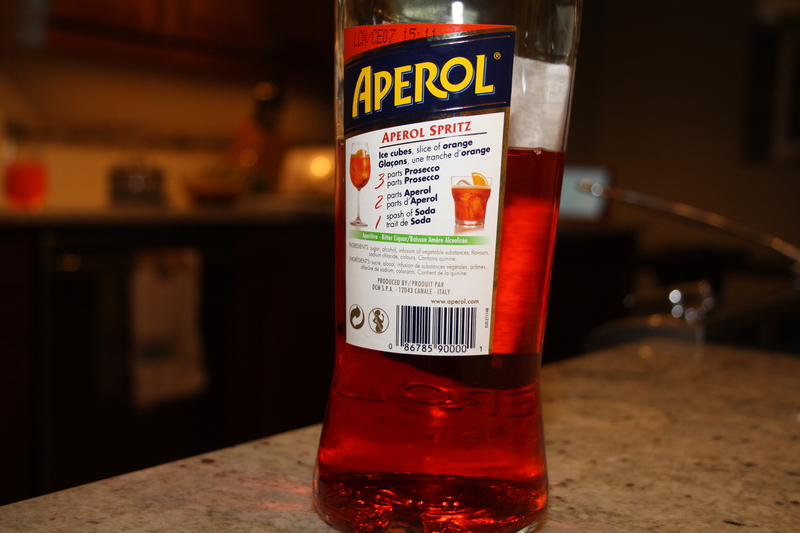 When we first came back to Canada, we could only find one or two stores that sold Aperol. I have to admit Santa put a bottle in my stocking that year. I find it’s recently much more readily available, I can find it in nearly every liquor store now, and I see it on restaurant menus and in my fav foodie magazines. When my sister Brooke graduated high school in 2011, some of my aunts and uncles made the trek to Canada to celebrate. 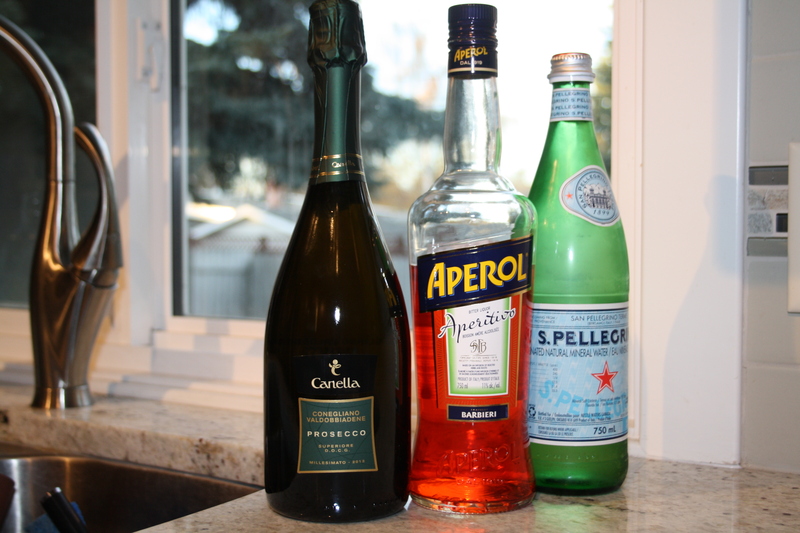 Mum and I busted out the Aperol Spritz, and it was a hit. 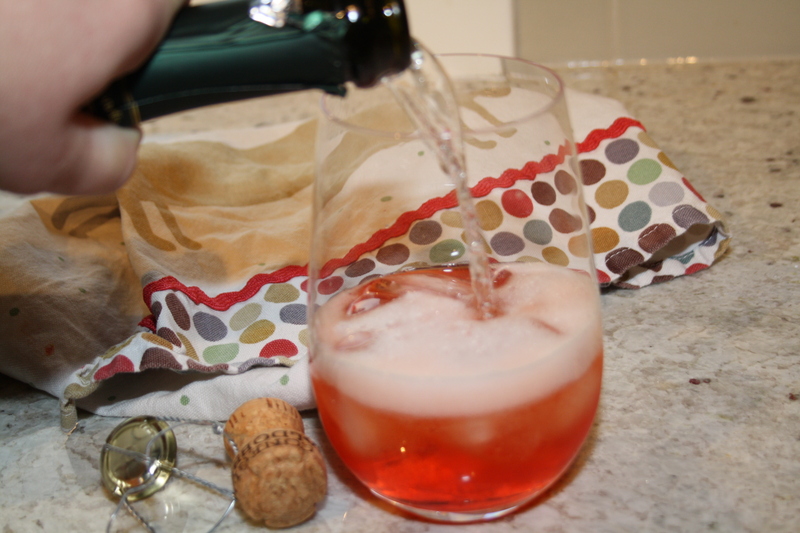 Most of us preferred the traditional prosecco in the recipe, but my Aunt Barb loved a sweeter champagne or prosecco which is even more decadent. 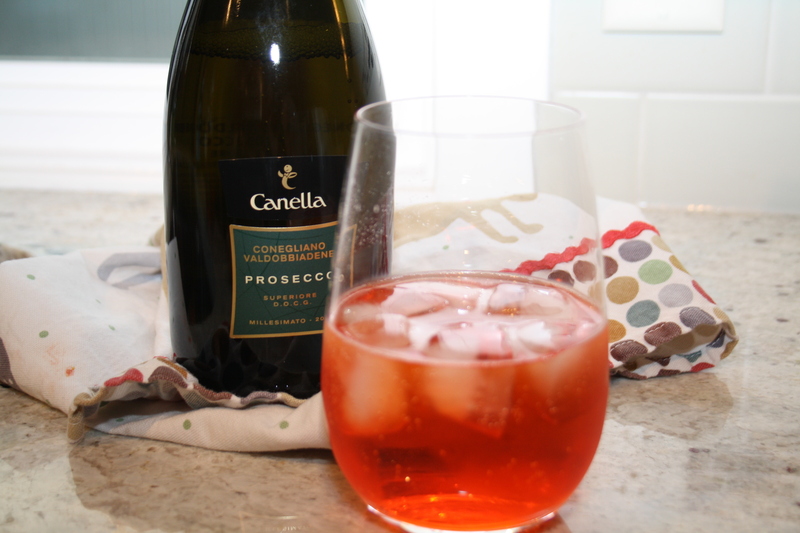 I love the dry-ness of the prosecco, but both are fantastic. This recipe is lazy for several reasons. The first is, I’ve stopped measuring my liquids. 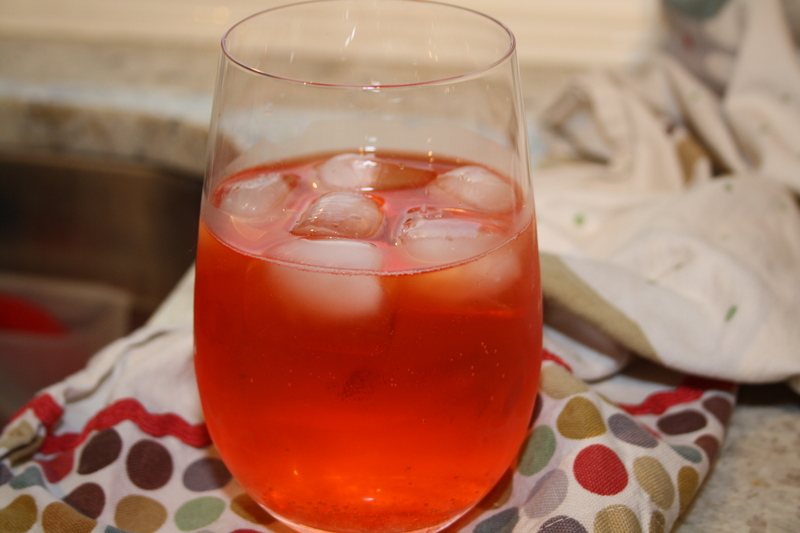 The recipe as stated below is the true Aperol Spritz, but over time and many, many tests, I’ve been able to decipher over colour and luck what will taste best. The result is forgiving. Too strong? Add more soda. Too weak? Bump up the Aperol or fizzy stuff. You can’t go wrong. 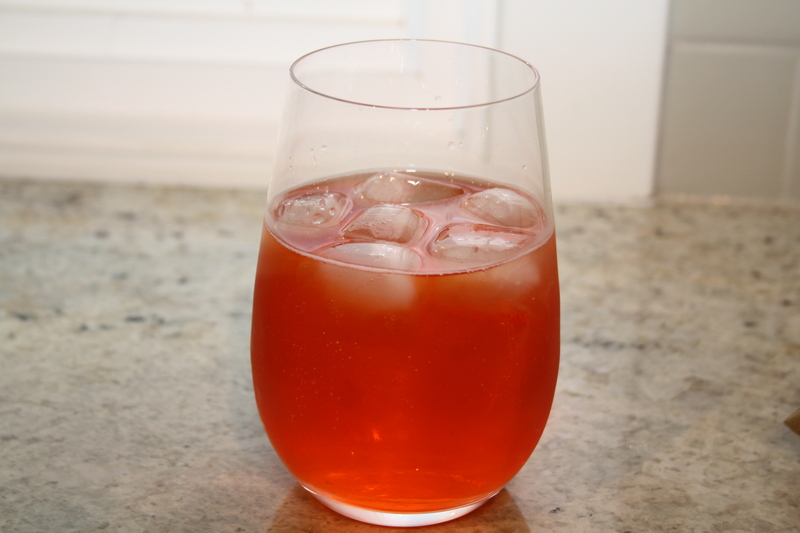 The second reason why this recipe is lazy is because I don’t usually buy club soda. I keep San Pellegrino on hand, and I’ve come to the habit of adding it’s effervescent, non-alcoholic qualities to my Spritzes in place of true soda. Italians are shuddering in disgust, I’m sure. Thirdly, every Spritz I enjoyed in Italy came with a beautiful fan of orange section on the glass. For a while, I imitated and still think it tastes better that way with a bit of eye candy. But let’s be honest, as the Spritzes flow and complacency sets in, the orange soon disappeared. The orange, a placebo really, makes the drink taste better. But for the lazy gal or guy, it’s not a must. Fill over ice in a wine glass (or anything else handy). Garnish with an orange slice if you feel fancy. Repeat.